The port side cap shroud and lower forward chainplates on a Westerly Oceanmaster 48 dating from 1990 were found to have lifted along their aft edges. Internal trim was removed for inspection. Internal arrangement of the cap shroud. The lower plate is right-angled, with bolts on the horizontal and vertical faces. 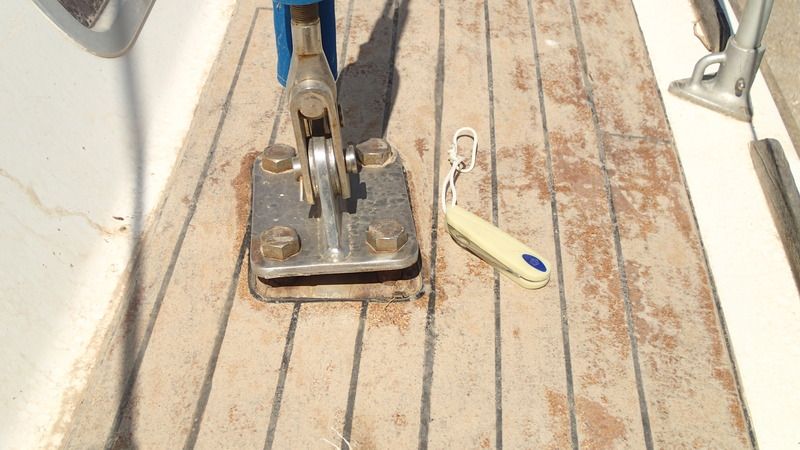 The horizontal bolts are attached to a bulkhead and the vertical ones pass through the deck to the upper plate. The upper cap shroud plate as found, with a gap of around 15 mm due to fracture of the two forward bolts. The forward lower chainplate inside the boat. This chainplate is in two parts, clamped either side of a bulkhead. The upper plate of the forward lower shroud. The open gap was less than on the cap shroud but in this case the plate was clearly bent, suggesting that the aft bolts remained tight. The forward bolts connecting the two parts of the cap shroud had clearly fractured. It was found that the double-nutted lower parts could be rotated with a spanner, allowing them to be withdrawn. Both fracture faces were corroded and very rough in appearance. 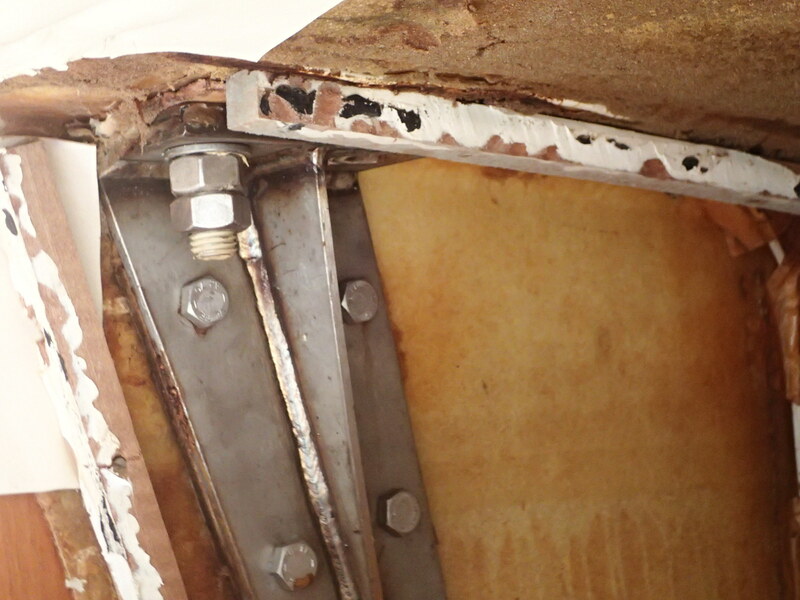 This appearance is consistent with failure by stress-corrosion cracking. 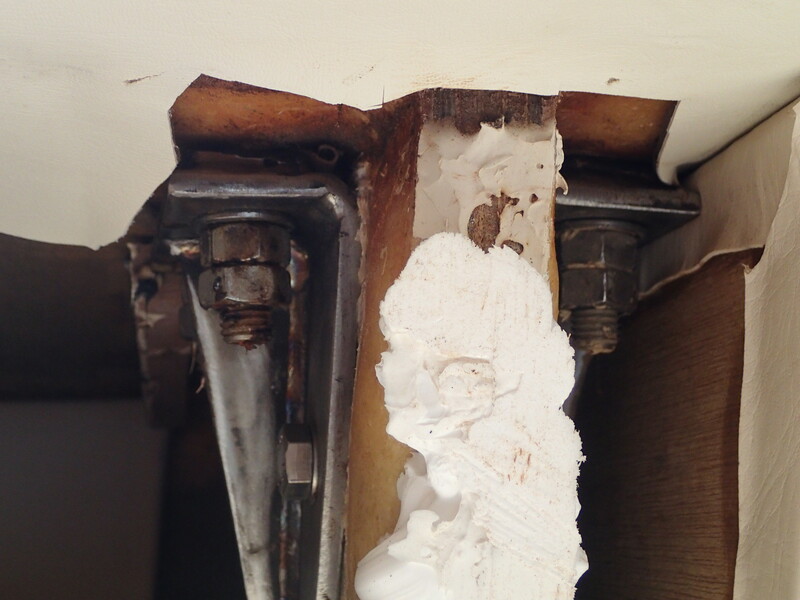 There was no evidence of sealant under the bolt heads or the upper plates, which would explain the evident penetration of water. The bolts themselves appeared to be locally manufactured items with obvious turning marks, the heads stamped A2. The two forward bolts of the cap shroud chainplate. 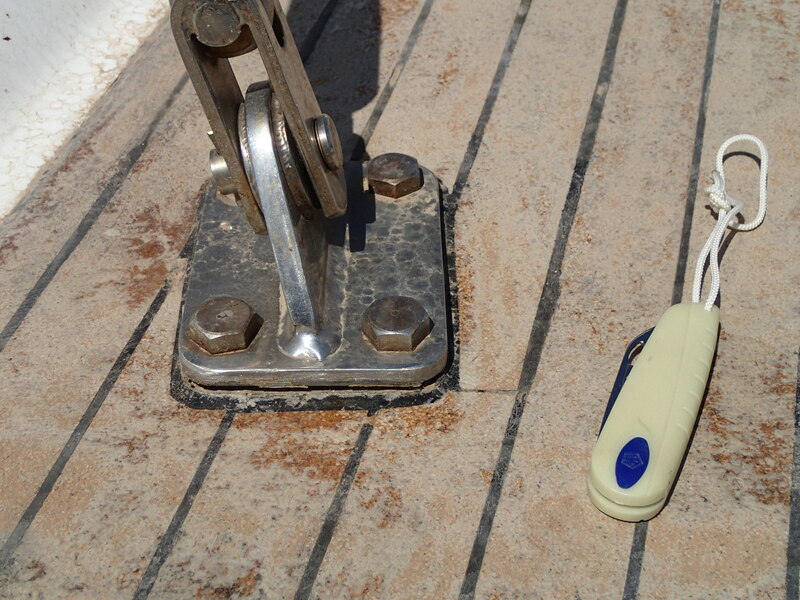 Fracture had occurred at a level consistent with the deck/upper plate interface. No attempt was made to remove the bolt heads. The fracture faces are characteristic of stress-corrosion cracking, multiple branched, intergranular penetration of corrosive media. The faces are characteristic of stress-corrosion cracking, multiple branched, intergranular penetration of seawater. Repeated soaking and drying results in increased concentration of chloride ions, which are able to penetrate grain boundaries in susceptible alloys, including stainless steels. The fundamental cause of the failure was a lack of sealant between the upper parts of the chainplates, bolts and the deck. This has allowed seawater to penetrate, leading to corrosion. The quality of the bolts is lower than might be expected, A4 being a better choice and a stronger grade, A4-70 better still. 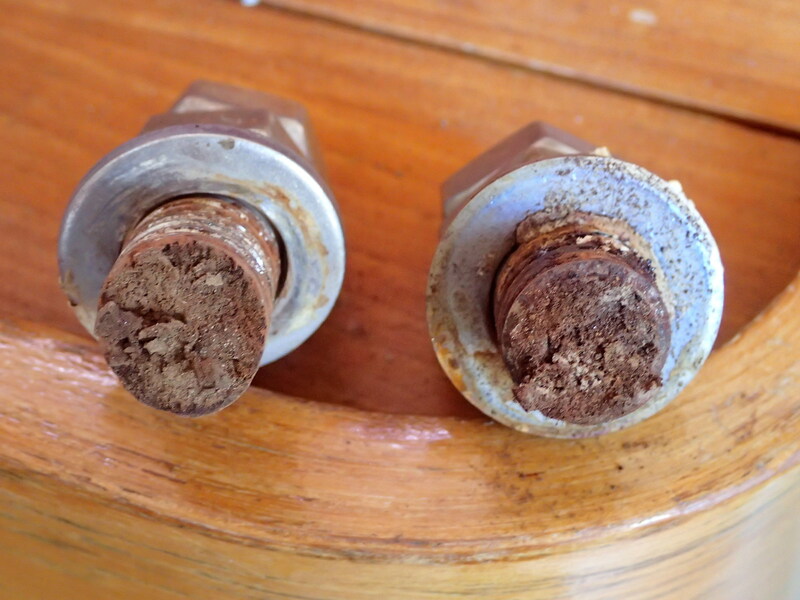 It is highly likely that other bolts are corroded in a similar way, although no others were inspected.